If you watched the above video you will see that Mullin eventually gained some sense of composure and laid the groundwork for his apathetic stance toward the issue. I believe what you’re saying and I don’t support this president whatsoever. But ma’am, we lost November 6th. We had the opportunity to get another president in there. […] We had four years to take care of that. Our country’s facing some serious issues. If the rest of the American people thought that was a big enough issue which, I thought it probably would’ve been. Who would’ve thought we would ever actually be questioning if we had a natural-born president being president? Who would’ve ever thought that we’d actually be there? […] So when I say we lost the argument, we lost that argument. Now let’s move on to some other issues. I believe it’s still there, but my God if we didn’t prove it the first four years, what do you think the chances are now? Anyone who has carried the “birther” flag has heard this argument and I don’t doubt that many of our readers will agree with it. I understand his point to be that things like immigration, ObamaCare and Benghazi are more important. I can not totally dispute that but at the same time I can accept that from the mouth of a constituent much more readily than I can from the mouth of a congressman. Again, this man took an oath to defend the constitution. If he truly believes that Barack Obama is in violation then it is his job to fix it. We don’t get to pick which laws we obey or disobey. The law is the law. And what does losing an election have to do with anything? Since we lost the election can we now not investigate Obama in regards to Benghazi or Fast n Furious? The argument makes no sense to me. People of Oklahoma just witnessed another spineless Boehner follower emerge right before their eyes. The congressman acts like it is our fault that Obama was re-elected. Was it? We share in the blame but they surely haven’t been in a rush to investigate the reported cases of voter fraud. 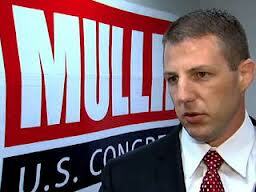 And the reason we could not get anything done in four years was because of elected servants like Markwayne Mullin who simply do not have the guts to pursue Obama’s fraud. They are scared. The don’t want to look like fools and they don’t want to lose their seat at the “popular table” in the congressional lunch room. That is exactly what I see all over America. People don’t want to look for truth because they don’t want to be seen as a conspiracy theorist. It embarrasses them. They don’t want to make waves. Let’s just sweep this under the rug. It’s not like everyone doesn’t know it. Last Sunday a visiting Kenyan Priest talked about it at a New Orleans Parish. There is no sweeping it under the rug. The whole world is laughing at us. Again, a constituent holding the opinion that it’s too late or that we have more important things to tackle is one thing. But I surely don’t want to hear those words from my elected servants. Their job is simply to defend the constitution no matter how popular or unpopular it is to do so. This is a constitutional republic which simply means that law trumps public opinion. Markwayne Mullin does not understand this concept. When the people we elect to support and defend our constitution will not do their jobs, and carry defeatist opinions, then I am not sure I can blame the average American for having a bad attitude. I however can’t subscribe to this way of thinking. I have my bad days for certain but I have five little girls that are counting on me to make a difference whether guys like Markwayne Mullin have the guts to do so or not. Steve Stockman is leading the charge and going after the Obama birth certificate. Mullin could learn a few things from Stockman. Do you realize that Stockman is one of only 10 House Republicans that did not vote for Boehner to retain his speakership? That is how corrupt this machine is. Thank God we have men like Stockman who are willing to stand against it. America, it’s time to let crazy Uncle Larry out of the basement. He’d make a better voice for Oklahoma than Markwayne Mullin. We didn’t lose anything. We are not done.